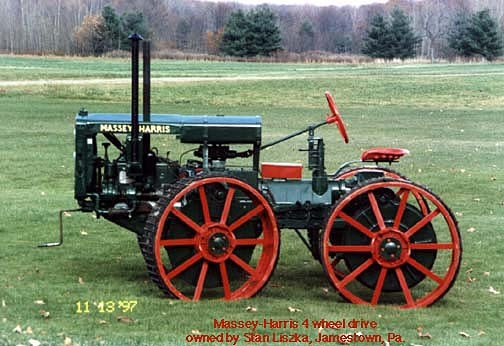 15 horsepower A. 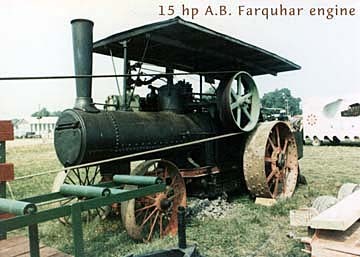 B. Farquhar steam traction engine owned by the estate of Morgan Hill. 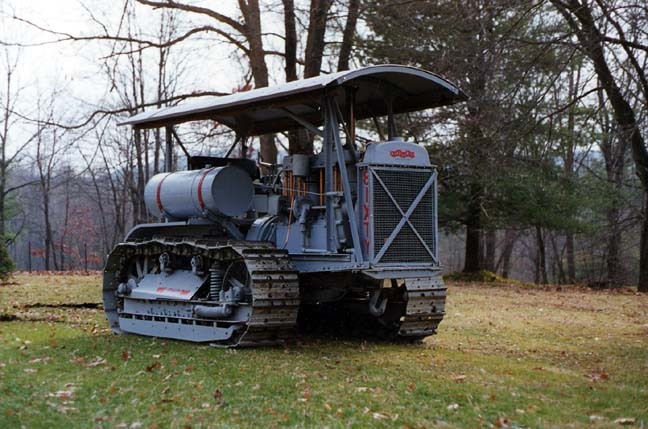 This engine powers the American sawmill at the Pioneer Showgrounds. 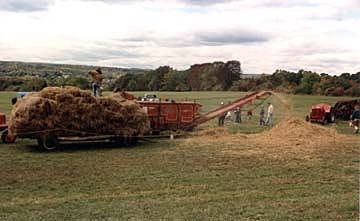 Threshing wheat with the Society's hand feed Westinghouse separator. Note the beautiful view from our show grounds. 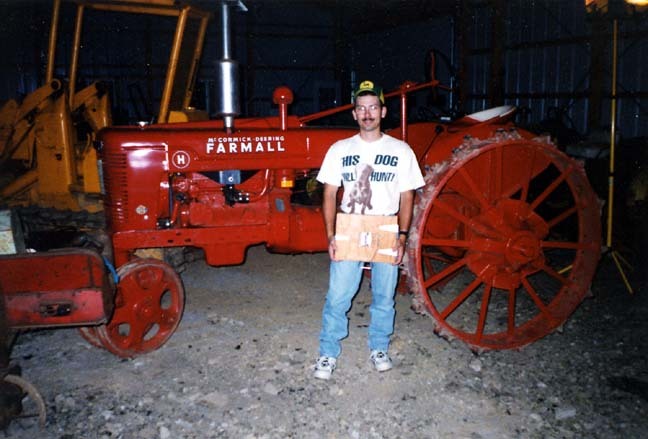 Tod Zuck operating a Russell portable engine belonging to the estate of Morgan Hill. 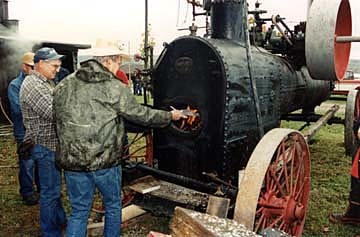 The engine is powering a buzz saw and providing steam for the kettles at "Steamers' Ridge Steam Kettle Cookery". Good bean soup sold here. 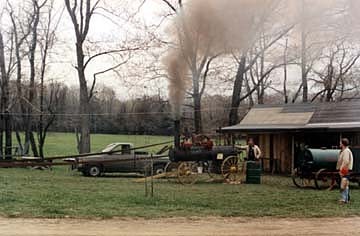 Past presidents Tod Zuck and Harold Seber burning the Society's mortgage at a ceremony celebrating the payoff of their original 60 acre grounds. Don and Wilma Rowan, ready to take their turn on the gate bright and early in the morning during the Harvest Festival. Nothing could keep Wilma from a beautiful sun shiny autumn day, working alongside her hubby. 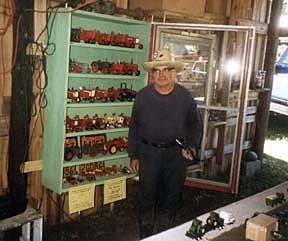 John Klakamp with display of International model tractors at our 1996 Summer Show. 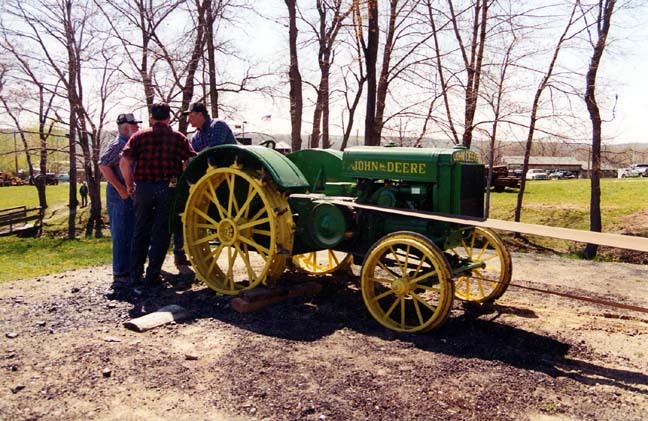 23-90 Baker traction engine owned by Howard Godfrey of Cherry Grove, Pennsylvania. 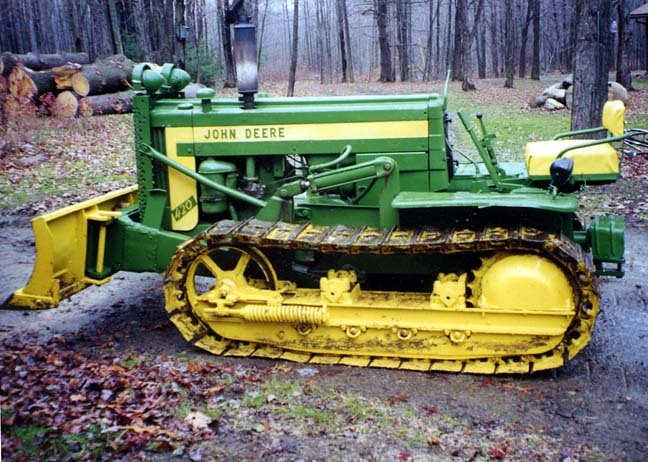 John Deere D tractor, owned by Dave Goodwill of Columbus, Pennsylvania, pulling hard on the sawmill. Antique gas engine powering an old butter churn. 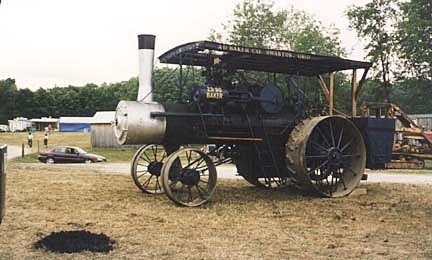 The last known Russell traction engine made - #17152. Owned by Tom Downing and Tom Jones. 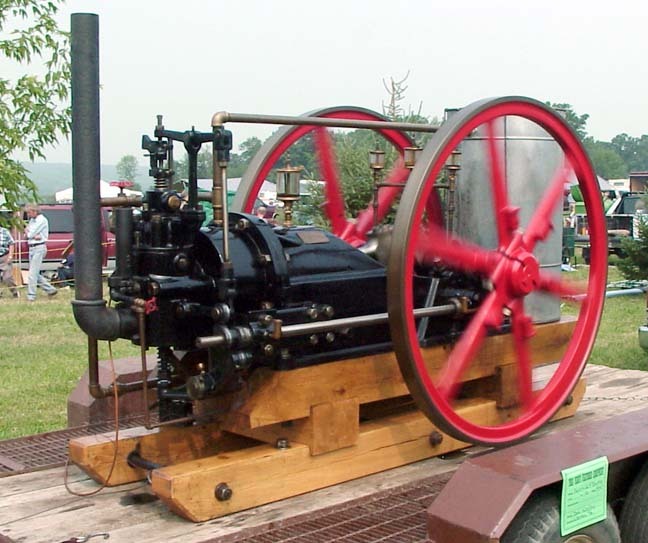 Fairchild & Betts gas engine made in Warren, Pennsylvania. 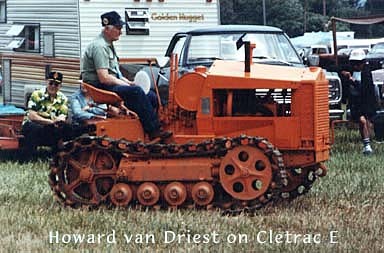 Owned by Don Worley of Warren. 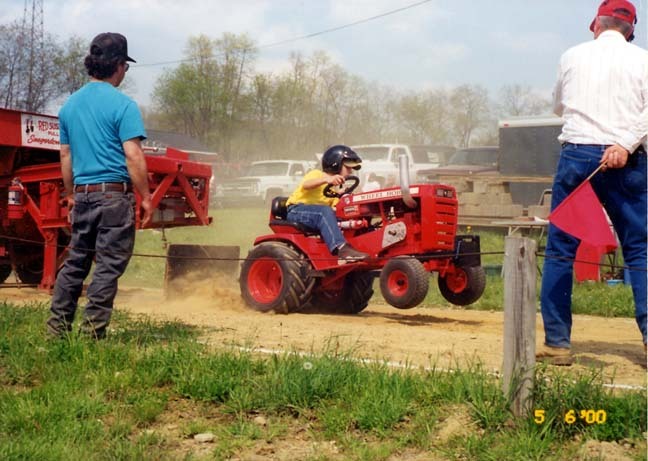 Eric Halko of Springboro, Pennsylvania with his early steel wheeled Farmall H.
Garden tractor pulls are a regular part of our Spring Gas Ups and Fall Harvest Festivals. 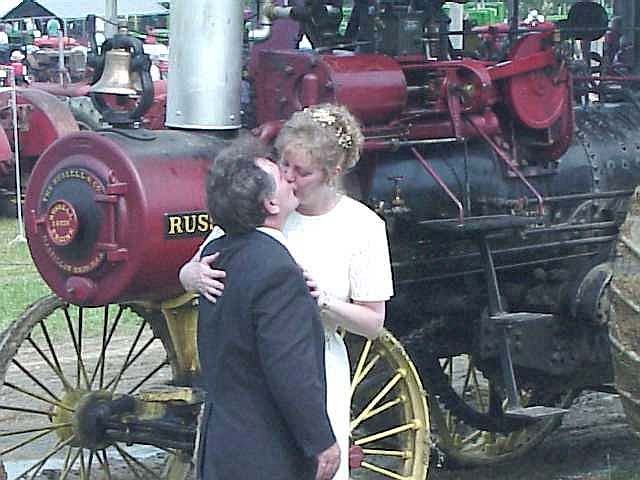 We even had a wedding at our 1999 Summer show!